Holy buckets, I can’t believe its already been a year since I’ve started this thing! And that it’s almost fall! Both are very exciting facts in my book. I started this here blog because I wanted to give myself a reason to write recipes down and measure out what I was making. Before this, I would just measure with my eyeballs. For the most part that worked for me, but it didn’t always yield a consistent result. It’s been fun to share old and new recipes and make things I’ve never made before. 1 year and 28 recipes later and it’s still something I really enjoy. I’m excited for what’s to come. In the meantime, grab a cuppa and stay awhile. Go ahead and make yourself Grandma Ritter’s Coffee Cake. While you’re at it, why not take a gander at the most popular recipes from this year? Good Morning and Happy Sunday! Though the flavors happening this week aren’t necessarily summer appropriate, I thought they’d spice things up a bit. It was a fantastic excuse to make my apartment smell like cinnamon. Not only that, but you get a bit of nutmeg, ginger, and clove to round out the pumpkin spices. To balance out the spices, I decided to pair it with a sweet marshmallow creme frosting. If you are looking for some creme cheese frosting, might I point you to the one in the Pumpkin Cutout Cookie recipe I posted in the fall? Good Morning and Happy Sunday! Spring is here and I couldn’t be happier! 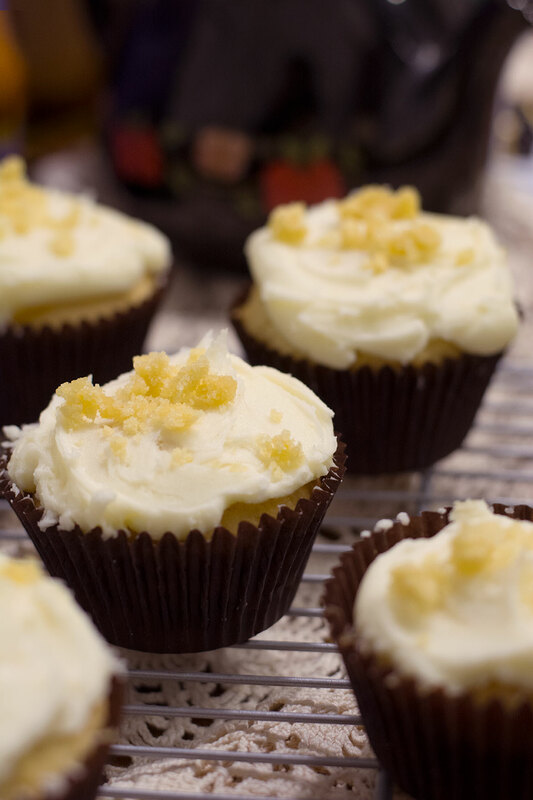 To ring in the longer days and warmer weather, I thought I’d make some lemon cupcakes. 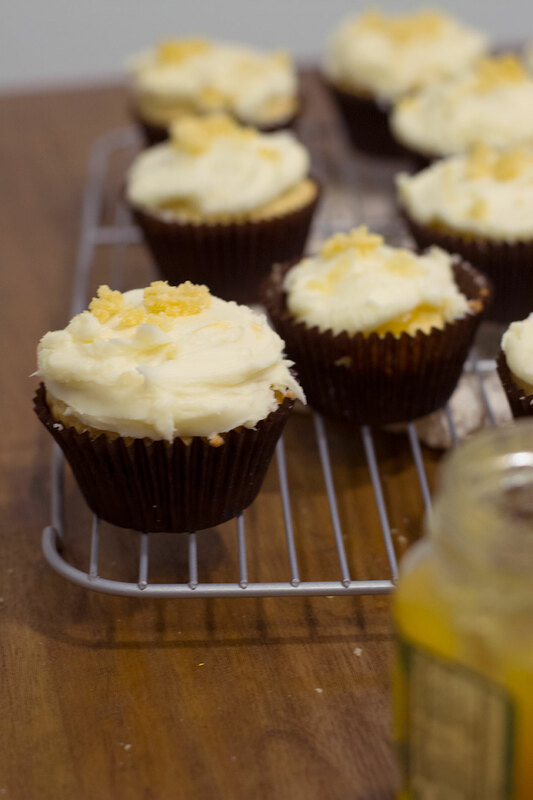 These cupcakes are a little zesty, a little sweet, with a pop of lemon curd in the center.